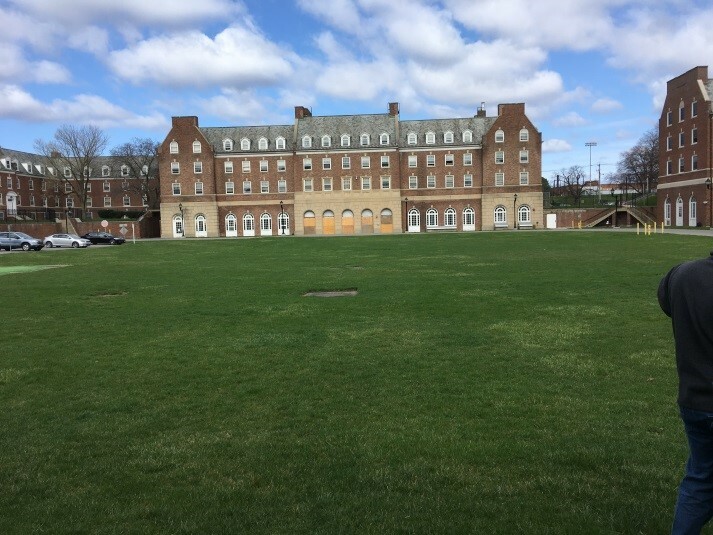 Alumni Quad, constructed during the period 1935 and 1941, is a UAlbany residence hall quad located in the mid portion of the City of Albany. 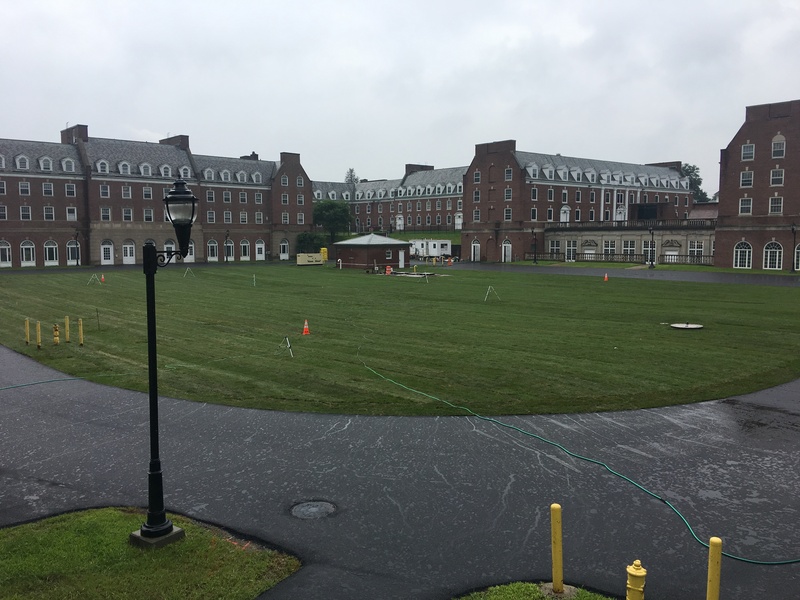 The quad has been the site of periodic flooding associated with heavy rains that cannot be handled by the municipal storm/sewer system. 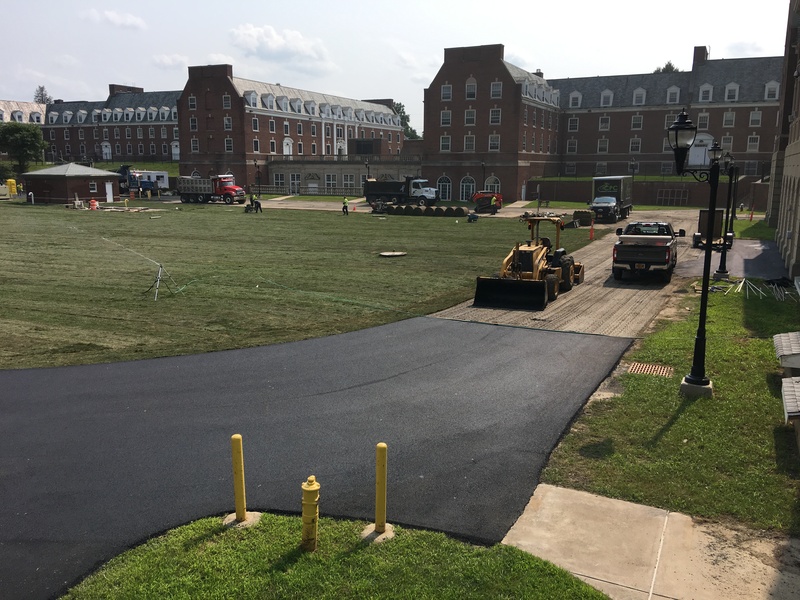 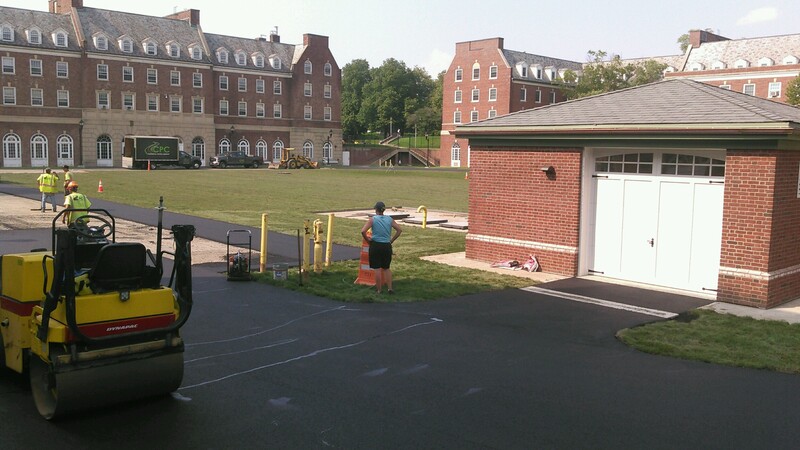 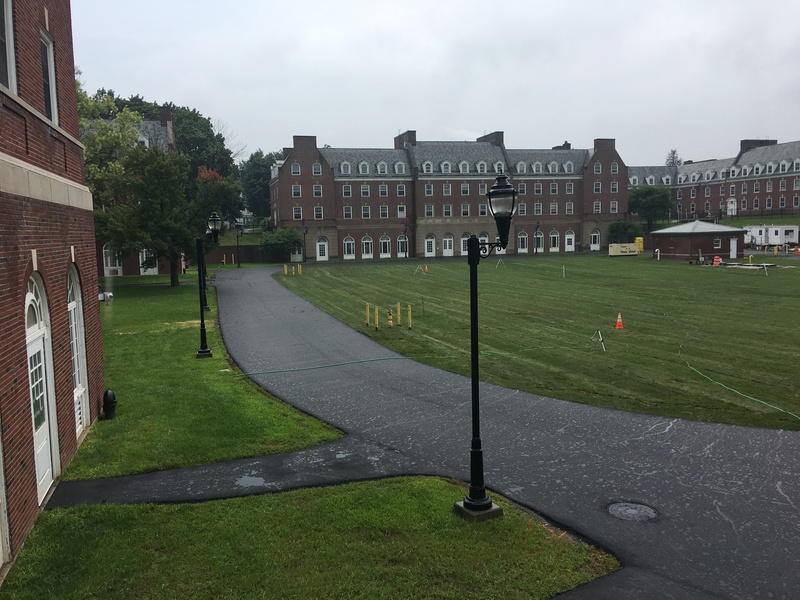 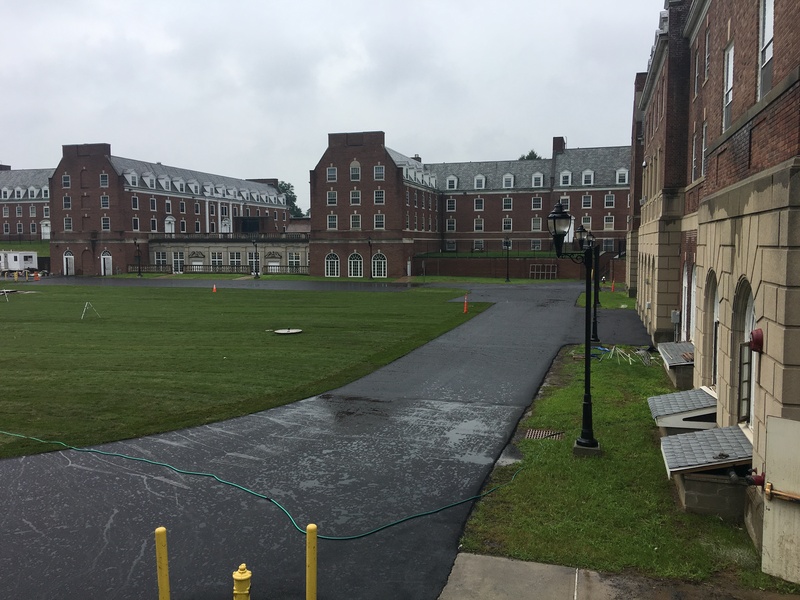 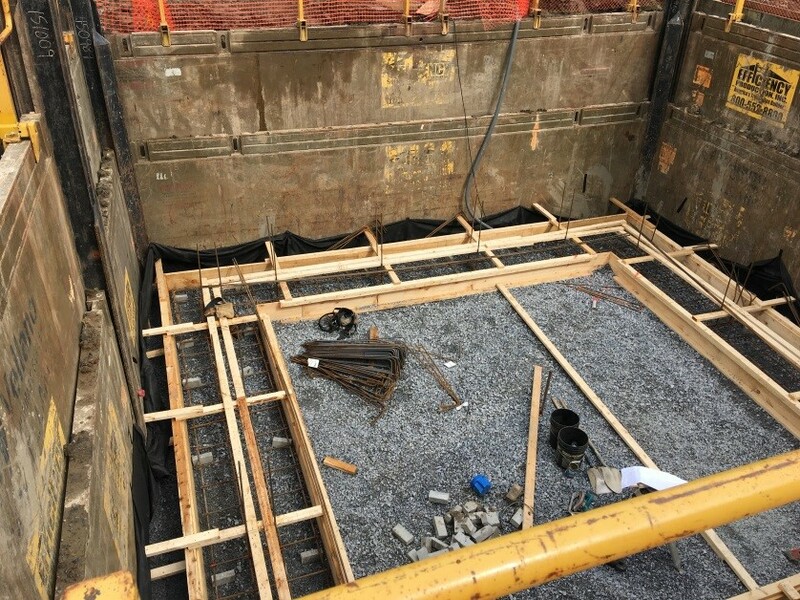 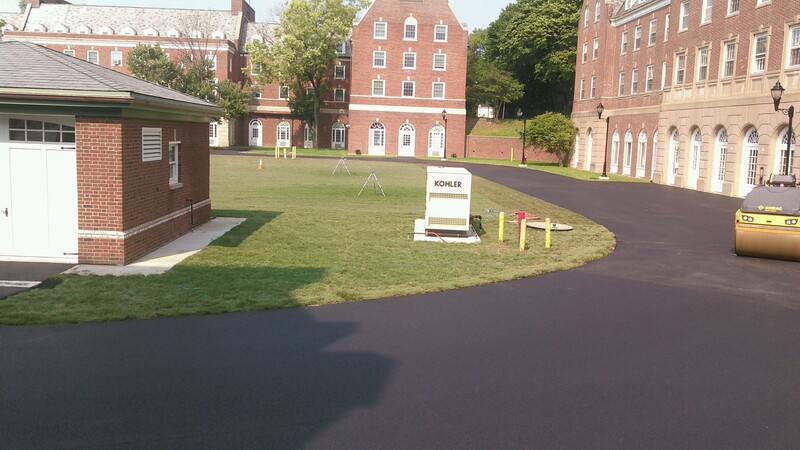 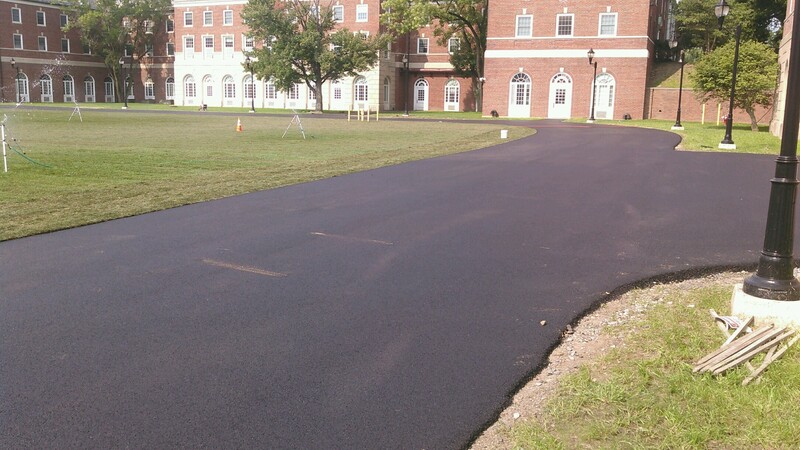 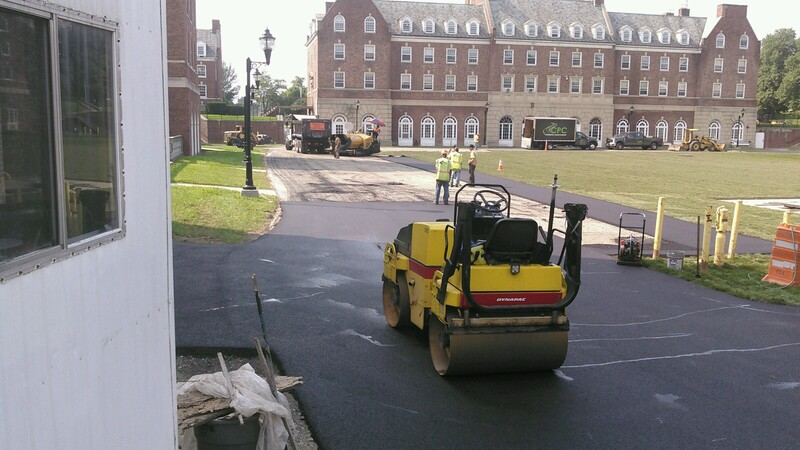 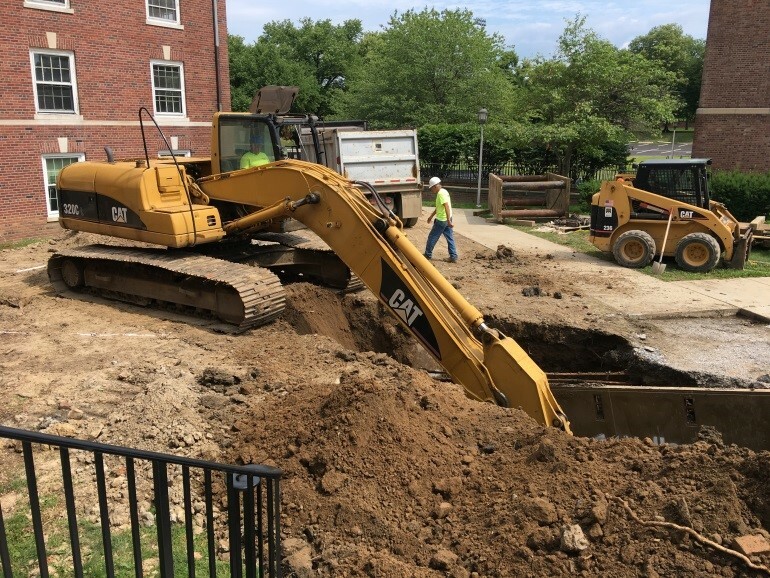 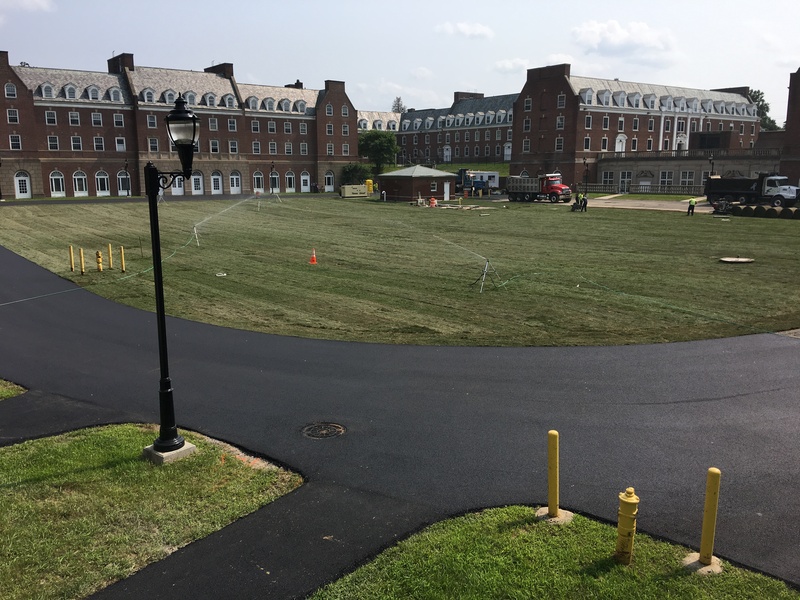 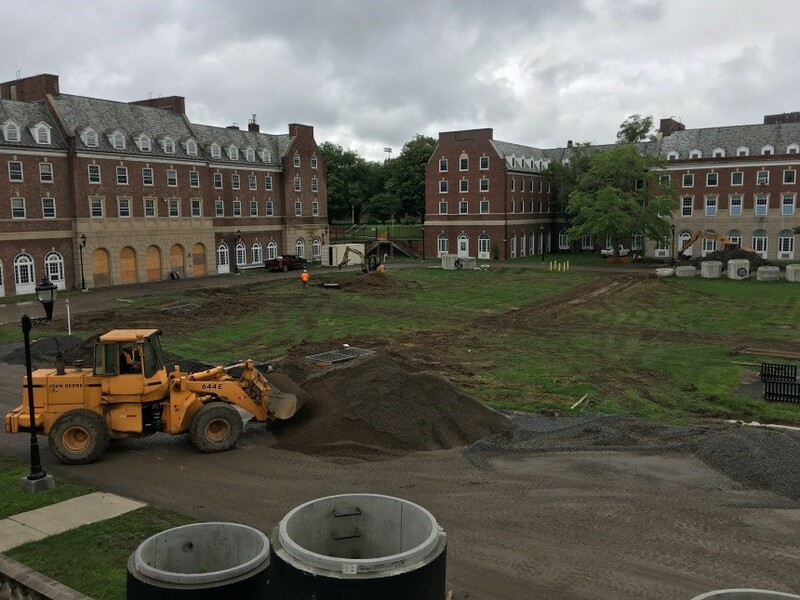 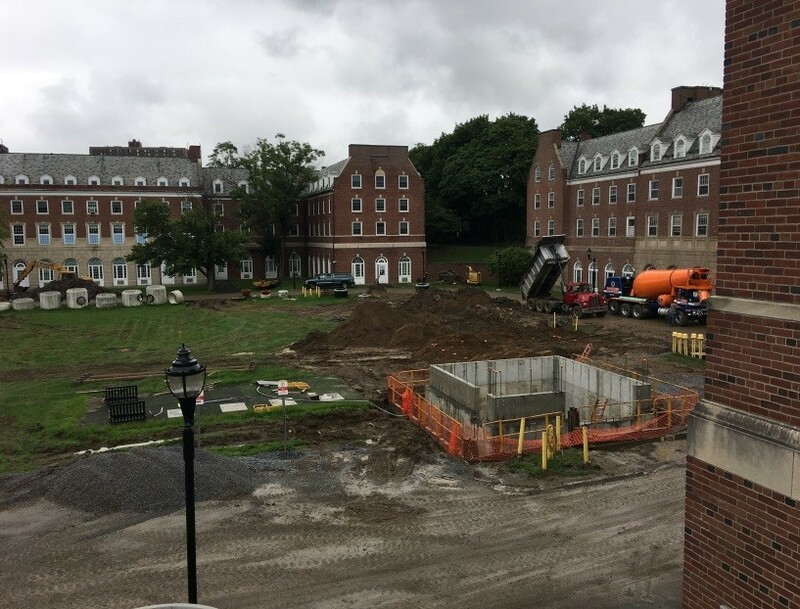 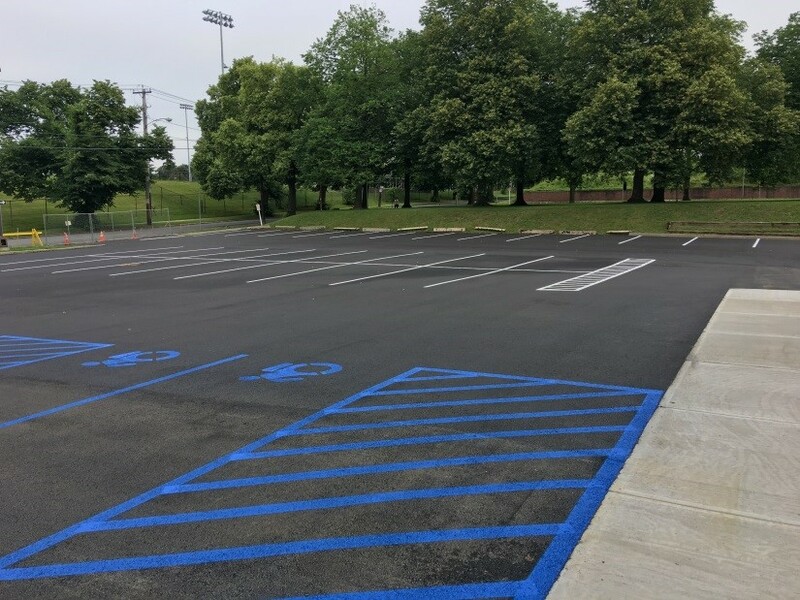 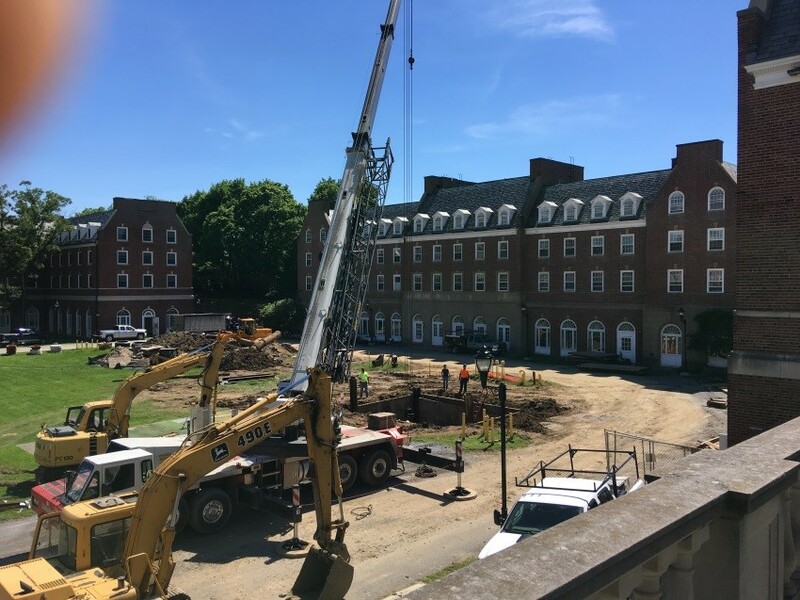 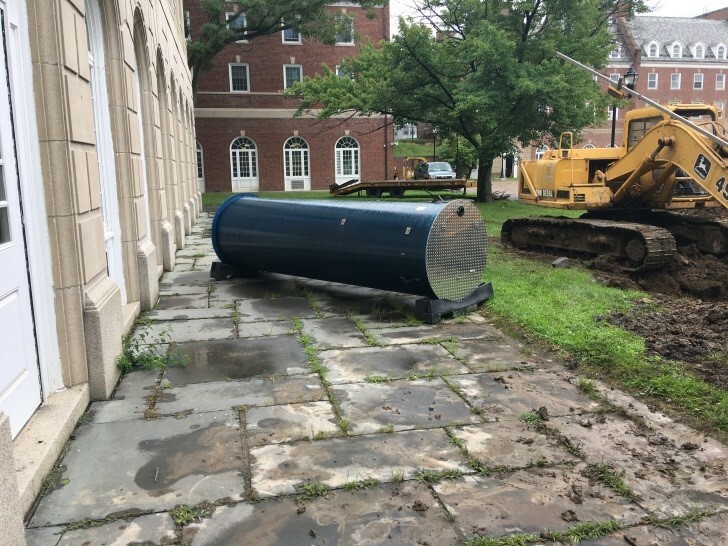 Designed with the cooperation and coordination of the City of Albany, this work will prevent storm and sewer surcharges into the Alumni Quad courtyard. 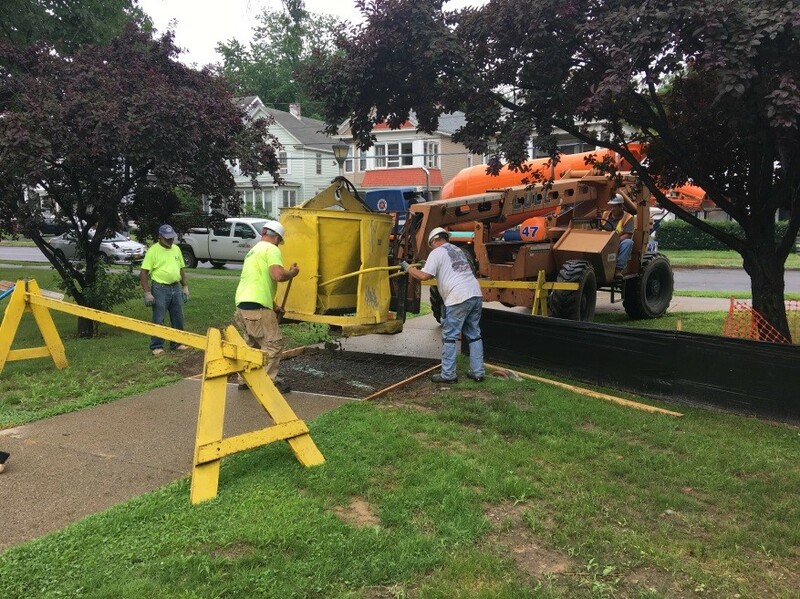 This fix is a necessary precursor to any further significant investment in these important UAlbany residential assets. 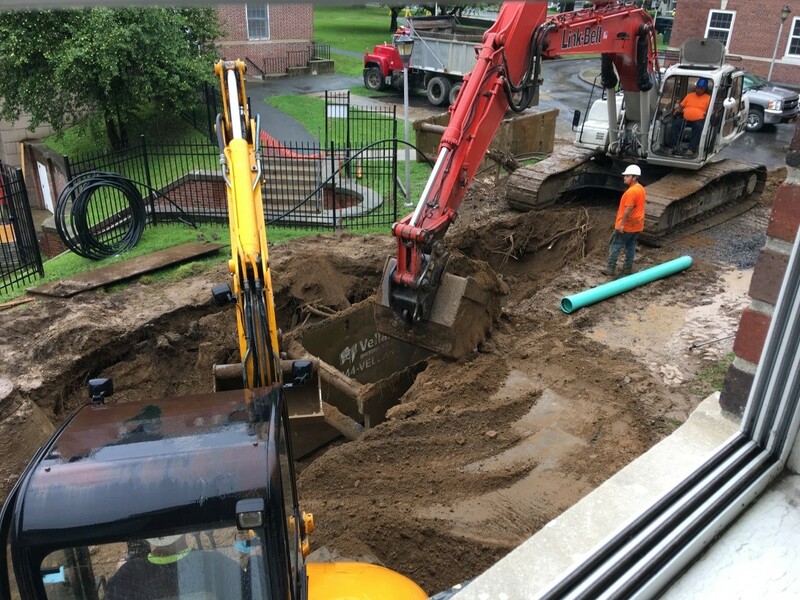 Site excavation and upgrade of storm and sewer infrastructure. 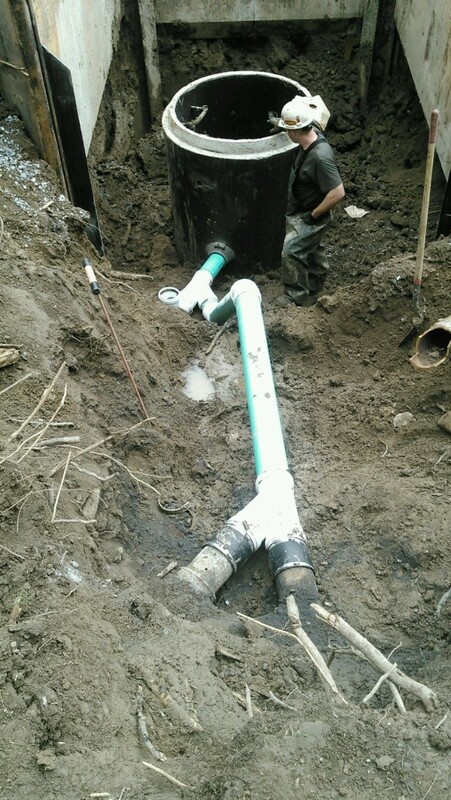 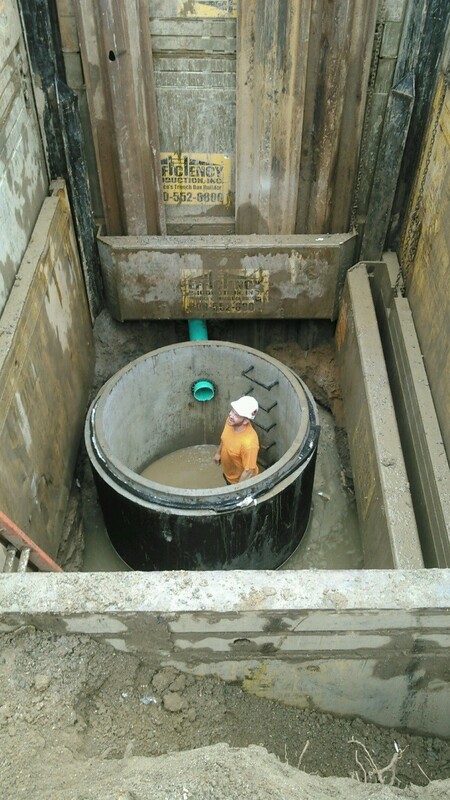 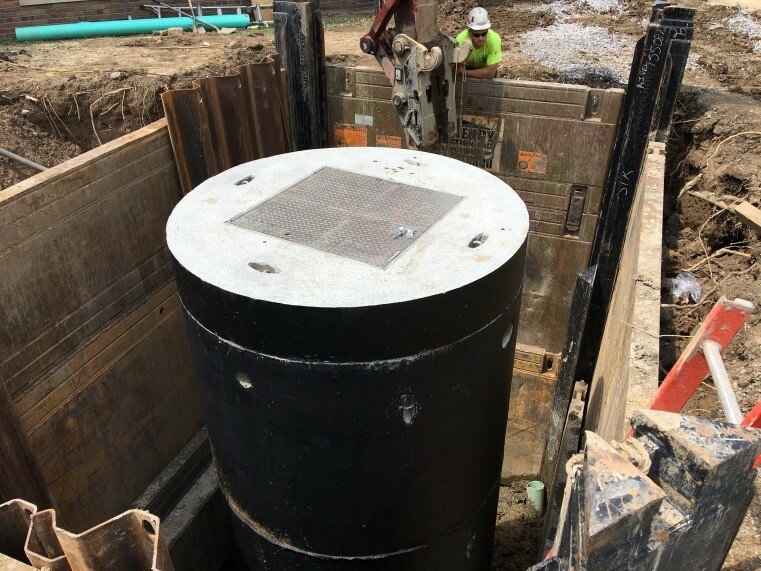 Remove selected infrastructure; install new storm and sanitary system, which includes separated sanitary and stormwater pump stations with variable speed drives and controls; related electrical connections and upgrades; repair and replacement of disturbed pavement and sidewalks; re-lining and sealing of main arch sewer trunk; and other related site restoration. 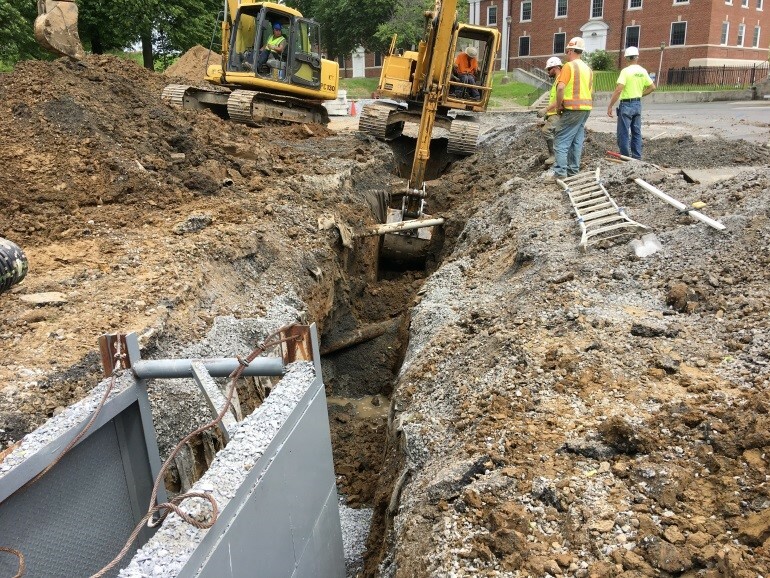 The project is currently in the closing phase. 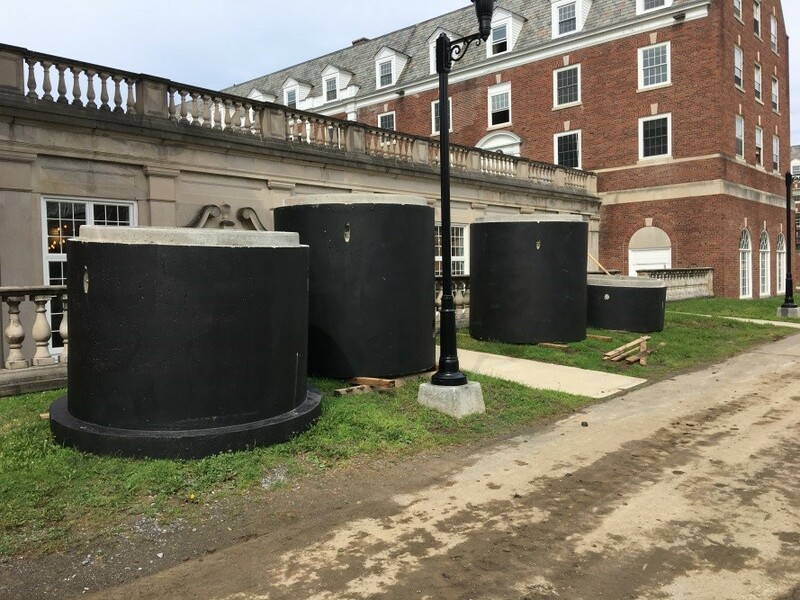 For general questions regarding project schedule and scope, please contact Elena McCormick and Bob Morawski at emccormick@albany.edu or 442-3400.